While some rivals appear set to launch hardware with support for nascent 5G wireless technology in 2019 at some point, Apple looks like it's going to wait another year before making an iPhone that can use them —like it did twice before. Bloomberg reports that Apple will wait until at least 2020 before it introduces an iPhone capable of being used on the new 5G carrier services. This would put it behind planned releases by Samsung and expected ones from China's Hauwei and Oppo. Once again, the report isn't particularly new, nor is it revelatory. Instead, it backs up previous reports from other venues who previously claimed in early November that Apple will use Intel's 5G-capable 8161 modem in iPhones from 2020. 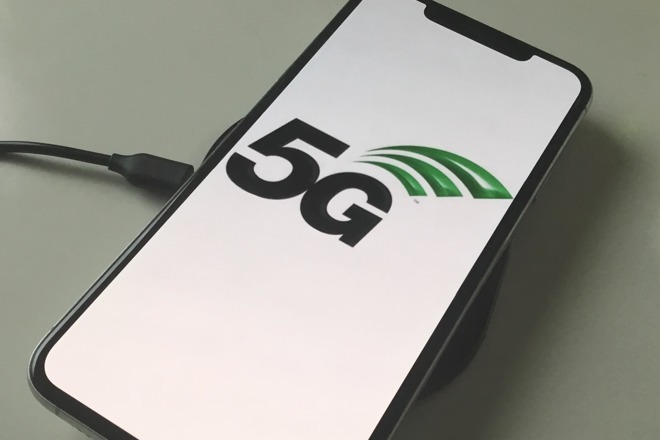 Bloomberg says sources reportedly familiar with the company's plans are claiming that it will be at least a year after 5G launches that Apple will get on board. It claims that Apple is repeating the way it waited to produce phones on 3G and 4G before. In those cases, Apple appeared to calculate that users would stay away from the faster networks until initial problems were solved. "Apple has always been a laggard in cellular technology," Gartner analyst Mark Hung told Bloomberg. "They weren't much impacted in the past, but 5G is going to be much easier to market. If they wait beyond 2020, then I think they'll be impacted." The analyst may be betting on rapid rollout of 5G across the United States, which is far from a certainty. While the carriers have started testing, and very limited rollouts of the technology, none are planning massive expansion until 2020 and later —likely not coincidentally the timetable for Apple's deployment of the technology. Similarly, when the iPhone originally launched on EDGE, there was only limited 3G coverage. Likewise, Apple wasn't first to market with 4G, and waited until the technology was more mature and more fully available when it finally shipped the technology on the iPhone 5. However, the delay may be less about calculation and more about technology issues. Apple is currently in legal dispute with modem maker Qualcomm. While that Qualcomm is expected to release 5G-capable processors in 2019, Intel's equivalent won't ship until 2020.